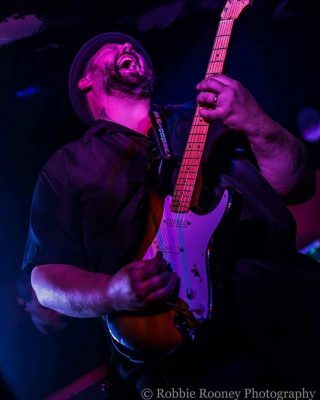 BIG BOY BLOATER DROPS PILLS! Blues-rock titan and Vive Le Rock Awards nominee BIG BOY BLOATER and his band THE LIMITS have just released a new video. ‘Pills’ is the title track from their forthcoming new album which is out on 15 June through Provogue/Mascot. Following the 2016 release of Luxury Hobo, which made Vive Le Rock‘s Albums of the Year, Bloater and his band have stripped down to a trio, with a rhythm section comprising Matt Cowley on drums and Steven Oates on bass. ‹ CELIBATE RIFLES’ MEXICAN STAND-OFF!